Dell Computer Repair Service and Recovery | Long Island, N.Y.
Dell Computer Repair and Dell Desktop Repair. Mindset Computer Repair, repairs and provides replacement parts for most models of Dell Desktop Computers. Our Free Dell Computer Repair Diagnostic and Estimate will allow our tech to tell you what is the problem with you Computer computer. Mindset Computer Repair service warranties all performed services. All hardware such as Video Cards, Hard Drives, Motherboards and Power Supply are backed by our 1 year manufacturer defect warranty. All virus removal, operating system reinstalls and software installations are backed by a 30 day warrantee. Our Dell Computer Repair Technicians are able to diagnose and repair any Dell Computer , from Dell Laptop. There is no Dell Computer our Dell Tech can not fix or repair. If your Computer computer is in need of repair or specific part please call us at 516.837.3841. New York, simply ship the notebook to us, and use the address above as the mailing address. Please enclose your name, address, home phone, cell phone and brief description of the problem you are having with your Dell Computer. 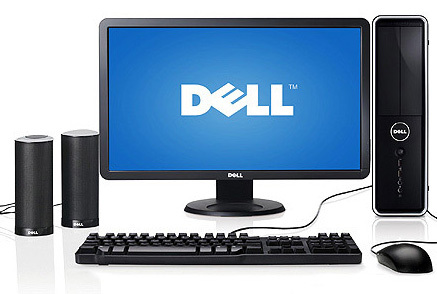 Upon acquisition of your Dell Computer our customer service representative will call you with a diagnosis of your Dell Computer and a Free cost estimate for the repair. Thank You. Does your Dell Computer need more memory? Is your Dell Computer over heating? Is your Dell Computer Hard Drive Failing? Dell Computer won’t load into windows? Dell Computer won’t turn on? Mindset Computer Repairs can supply you with any Dell Computer parts that you may need replacing including Dell replacement Video Cards, Dell motherboard, Dell cd-rom drives, Dell cdrw drives, Dell dvd drives, Dell dvdrw drives and Dell Blu-Ray drives. Our Dell Computer repair services include: Hard Drive upgrades, Motherboard Repair, Memory Upgrades, Data Recovery and Data Transfer. Dell Computer Broken chassis fan / processor fan repair. Many times we run into situations where the Dell Computer is just not worth repair. When the Computer repair cost more than what the Computer is worth Mindset consider the machine “TOTALED” Lucky For You, Mindset Computer Repair has a program that we would purchases your Dell Computer for parts in our repair inventory. We will issue a check, credit or trade of services for the wholesale values of the function or non functional Dell Computer.